Daniel J. Gillis Esq. | Bashian P.C. Daniel J. Gillis, Esq. graduated with a B.A. from Assumption College in 2009. 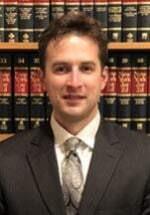 Prior to attending law school, Mr. Gillis worked as a real estate and municipal paralegal in Rockland County for three and half years. Mr. Gillis then received his J.D. from Pace University School of Law in 2018. During law school, Mr. Gillis served as a Senior Associate for the Pace International Law Review. At Bashian P.C., Mr. Gillis has focused in the areas of Estate Planning, Estate and Probate Administration, Estate Litigation, Guardianships, Real Estate, and Professional/Legal Malpractice Matters.